If there is one thing that iOS isn’t known for, it’s customizability. In Apple’s eyes, that’s not a bad thing for all kinds of reasons. Some of them are valid, some perhaps less so, but none of that helps if you own an iPhone or an iPad and want to tinker with it a little. Here’s how you can customize the stock Apple emojis on your iPhone, iPad, and iPod touch. Something as simple as changing the default emojis that are available via the stock Apple keyboard may seem like a great idea, but Apple simply won’t allow it. Yes, you could probably use a third-party keyboard now that Apple allows that option, but if you want to make changes to the stock one you’re going to need to be jailbroken. If you are, then the emoji switcheroo isn’t too difficult at all. In fact, all you’ll need is one jailbreak app and the emoji bundle of your choice. Make sure your iOS device is jailbroken. If not, then you need to go and put that right, or the rest of this isn’t going to make a lot of sense. 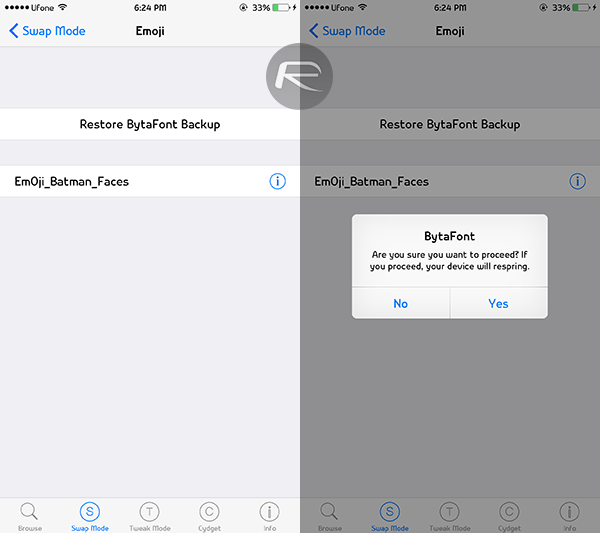 Step 1: Launch Cydia and search for BytaFont 2. Step 2: Install BytaFont 2. It’s a completely free tweak, so you’re good to go. Step 3: Once it’s installed and your device has resprung, re-launch Cydia and search for ‘Emoji’. Step 4: If you’re running iOS 8.4, make sure you choose the packages that have a ‘(D)’ marking with the name. 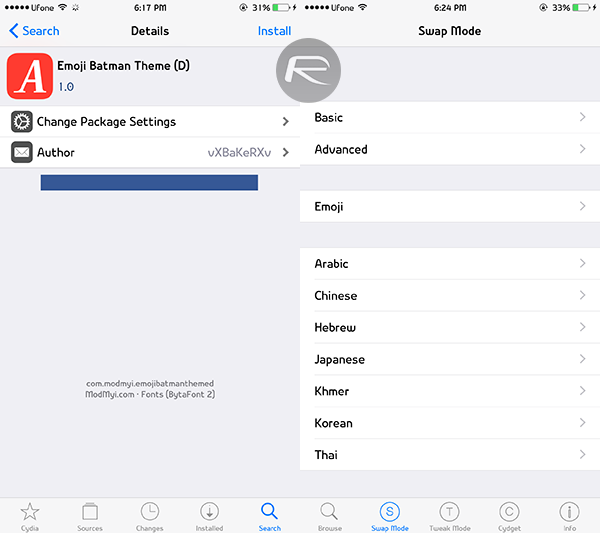 Once you have chosen the desired emoji package you want to use, install it from Cydia. Step 5: Once everything is downloaded, launch BytaFont 2 and tap on the ‘Swap Mode’ button at the bottom. 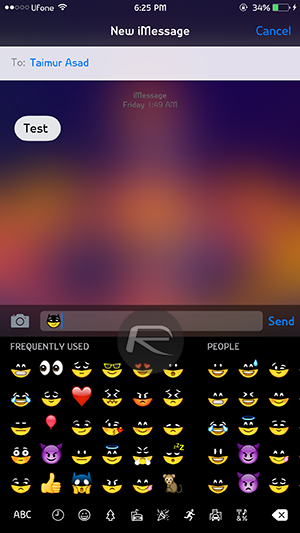 Step 6: Now hit the Emoji button and select the package you want to enable. Your iOS device will respring. Step 7: Next up, launch any app that brings you the keyboard and switch to the emoji keyboard – you should now see all your new emojis where the stock Apple offerings usually live. Step 8: If you want to enable a different package that you’ve also downloaded, repeat steps 5 and 6 and you’re done. 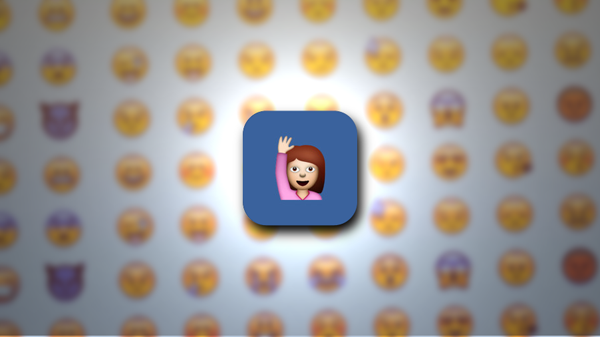 If emojis are your thing and you own a jailbroken iOS device then this is a no-brainer – see if you can find any cool emojis and let us know if you do! Hi, When some one send me a text message with any emoji icon, It is not replaced by i only see text.. why? Dear when I receive a text message from any android/iphone user and if he send any emoji icon in text sms I only see symbols not emoji icon. Just like attached screenshot. What’s the tweak used in the message screen? nope. the emoji bytafont(s) only show up differently on your device. purely for “local” enjoyment lol. i have the HTC pack installed and running, they’re awesome! You must bee carefull with cheap unlｏcks and amateur unlｏcking teams. Few weeks before I have bought and was unlｏcking my men iphone trough a phone site, was beneficial to a months or so and i could make calls an anyting but than suddenlyit was suddenly blocked by the carrier it was originally locked to. I was shocked by this happening I was attempting to factory unlｏck again with a reliable team but it wasn’t possible they said it’s not possible to unlｏck again. My friend said to unlｏck at attiphoneunlｏcking. [cｏm] is professional. Can you verify this? uｎｌｏｃｋing a device is not that hard thing, but not to screw up your phone and got it barred became much harder.I saw many of my friends and also red it there that many of you got his phone locked back becasue of unprofessional uｎｌｏｃｋ request. Make sure you will use a well know and professional uｎｌｏｃｋing team, like ATTIPHONEuｎｌｏｃｋING or my#imeiuｎｌｏｃｋ. useless if the other user is not seeing them like you do.